As we near the end of winter, what we’ve been feeding the Alpacas is about to be put to the test. Shearing day is May 15, and the quality of our nutrition will easily be seen. 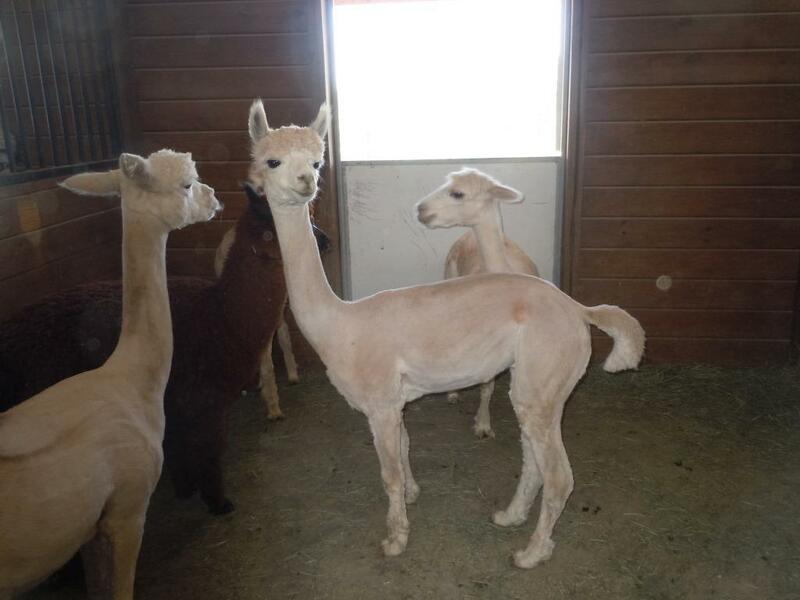 With all of their beautiful fleeces sheared, body scores will be much easier to determine. 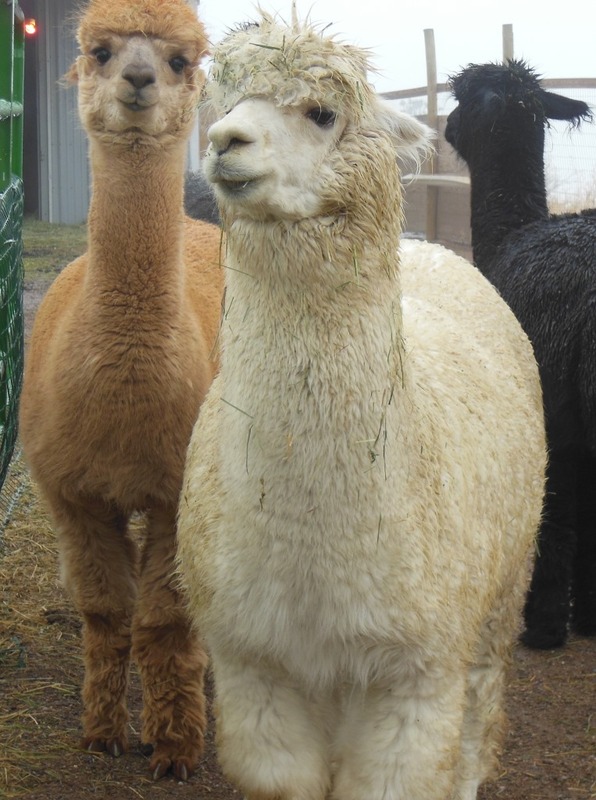 Alpacas are scored from 1 to 10, a 10 being over weight and 5 being ideal. Last week-end Jared and I picked up the last of this season’s hay from our supplier. We spent Saturday afternoon stacking 100 bales which will get us through until this year’s second cutting. 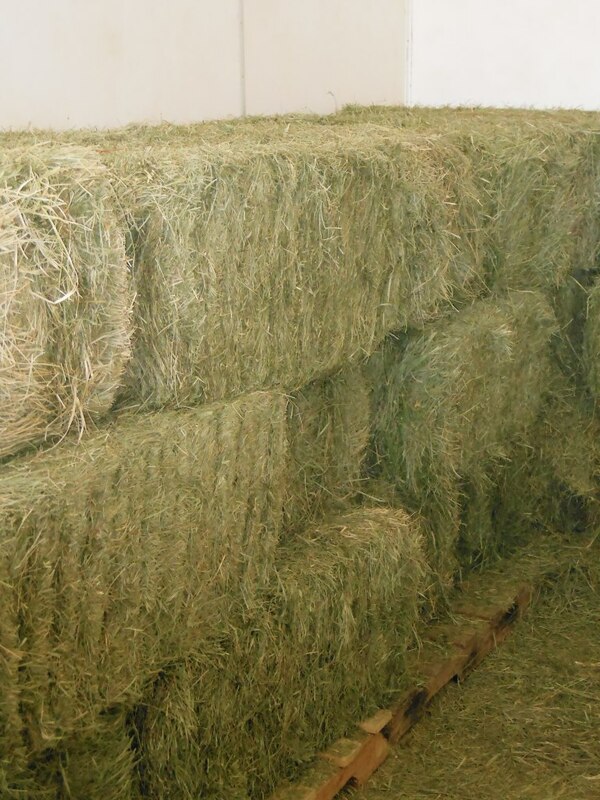 Quality hay was hard to come by this past year, and the best hay was incredibly expensive. Our vet, Dr.Balch, visited Cliff House for a healthy herd check last week, and she estimated our body scores to be 5 except for Tulip who is a 5- and CiCi who is an 8. 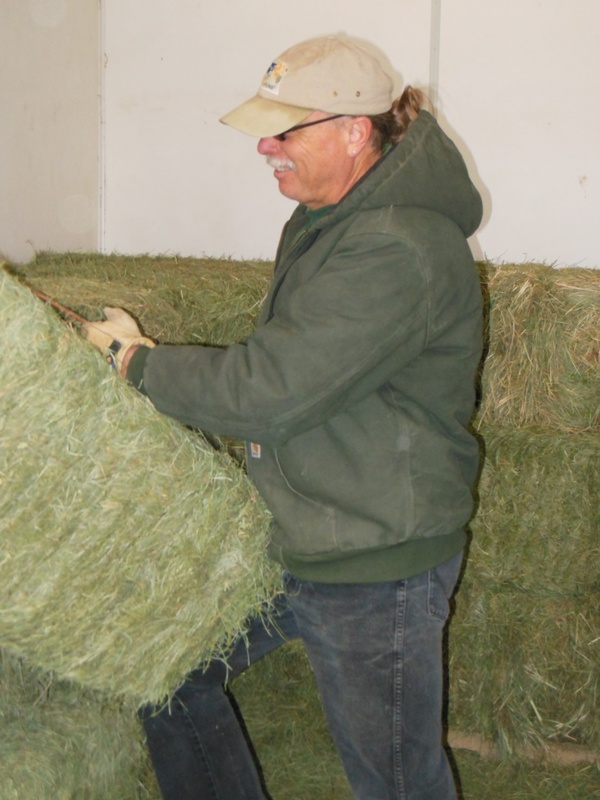 Dr. Balch looked in the hay stall, laughed, and said “Well, you guys feed good hay.” Enough said. 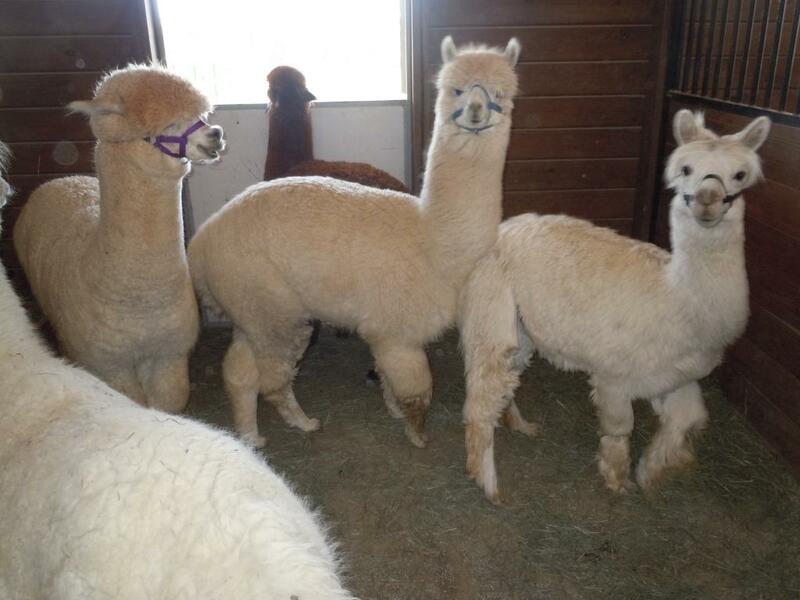 This entry was posted in animals and tagged alpaca, alpaca ranch, animals, hay, ranch life. Bookmark the permalink. We knew they were all top rate! Little Cici is looking just a bit plump!